Note that I always cover up old answers, so that I can’t cheat. Obviously it would be easily to cheat but what’s the point of doing so? 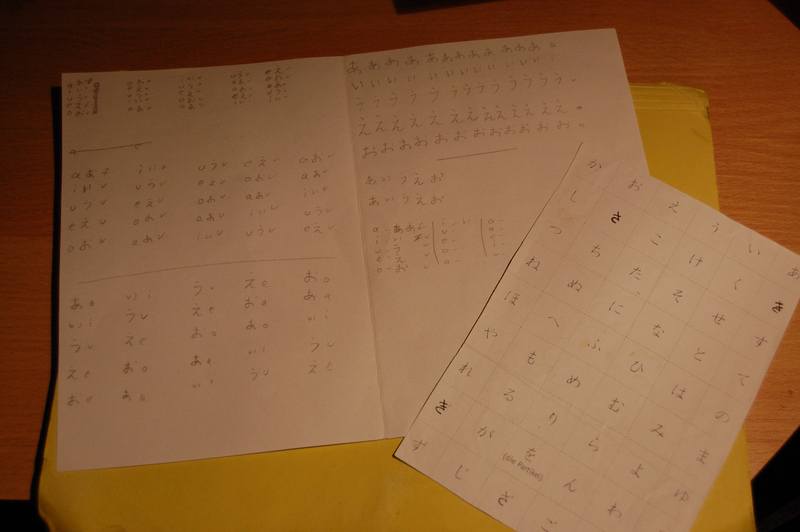 I want to learn all this after all. It was actually quite a hectic day, but that shouldn’t have stopped me from learning more seriously. Especially in the conversation department. 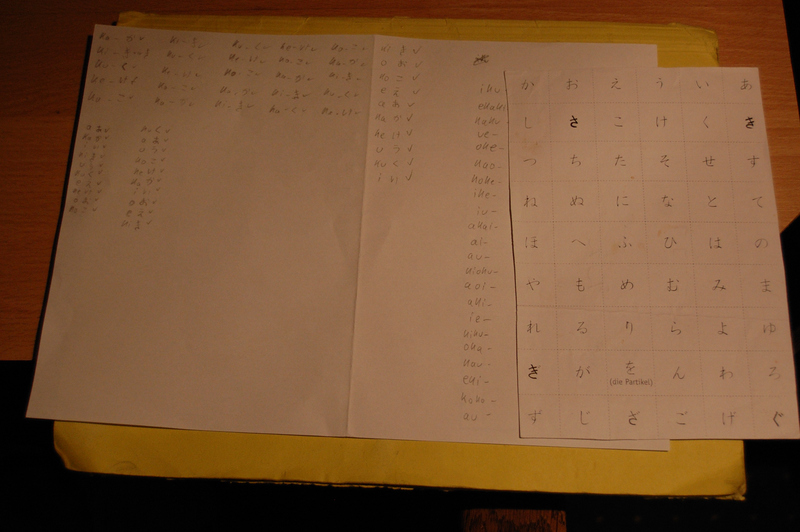 This entry was posted on Tuesday, May 19th, 2015 at 2:35	and tagged with Japanese, Kana, Language learning, Learning Japanese, moshi moshi and posted in General. You can follow any responses to this entry through the RSS 2.0 feed.